The first step of getting MultiWii functioning on your multirotor involves flashing the actual software to the control board. The MultiWii software is completely open source and is getting updated constantly, so it is important to look out for new versions of the software every now and again. 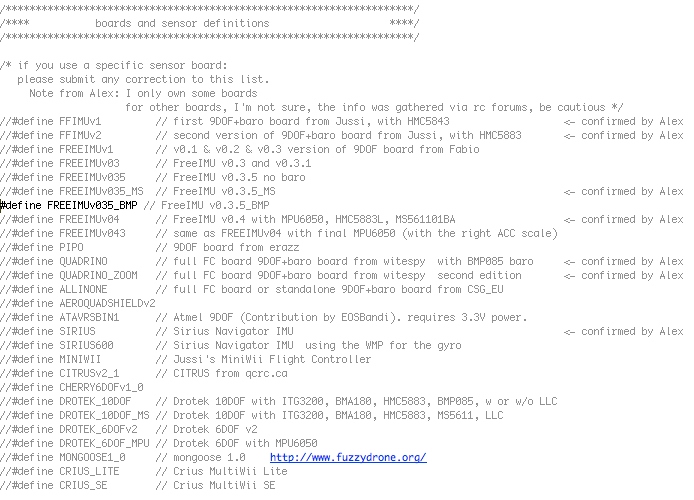 The steps below will detail the process of how to download all the files and programs necessary to flash MultiWii to your controller board. Step 1. You want to first download all the files and programs onto your computer before you begin installing anything. at the Arduino download page. MultiWii and will be compatible with the Arduino 1.0 program. Step 4. Now that you have Arduino installed, you'll want to open the software you'll be flashing onto the controller board. exact same name, as is the ".ino" file. Once you get to the ".ino" file, click open and let Arduino load the program. my case, I selected the "QUADX" configuration. ESC's talk to each other and I usually choose the "400000L" parameter to work with my ESC's. board and make sure to select the correct model. the board is armed. 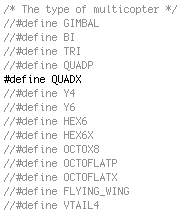 Personally, I don't like anything spinning when I arm my quad, so I define this parameter. Step 10. Now that all the parameters have been set, it's time to prepare your controller board to connect to the computer. 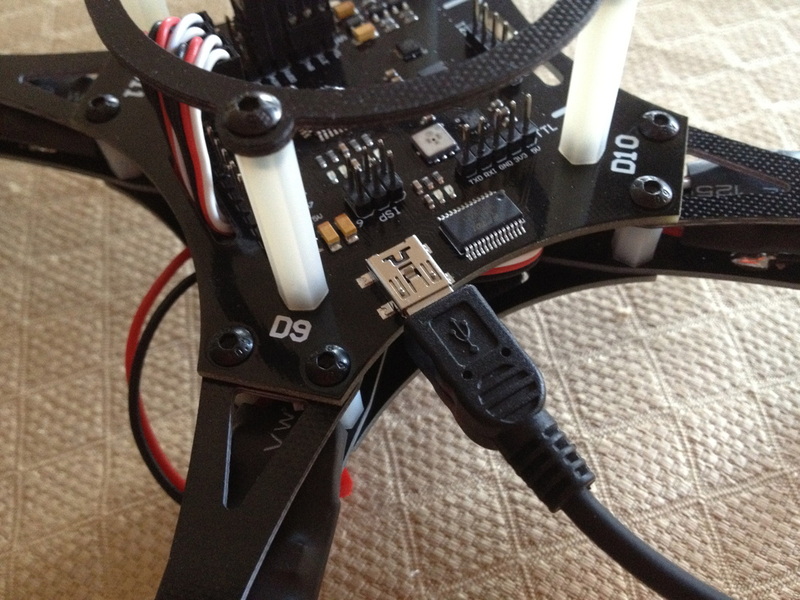 Quadcopter which had a built in FTDI programmer, so the USB slot was on the controller board. troubleshooting guide if that happens. the Arduino program and then disconnect your controller board from the FTDI programmer.